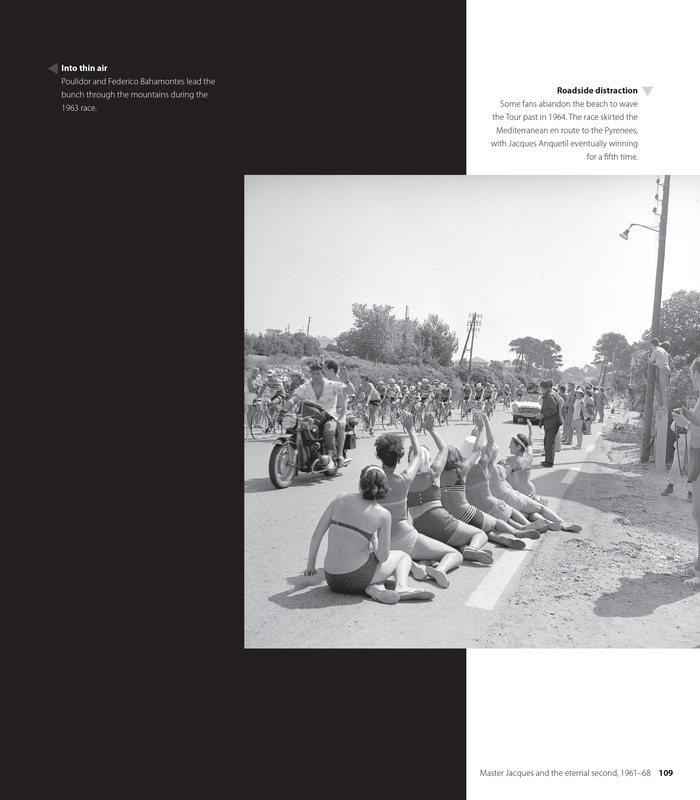 Some fans abandon the beach to wave the Tour past in 1964. The race skirted the Mediterranean en route to the Pyrenees, with Jacques Anquetil eventually winning for a fifth time. 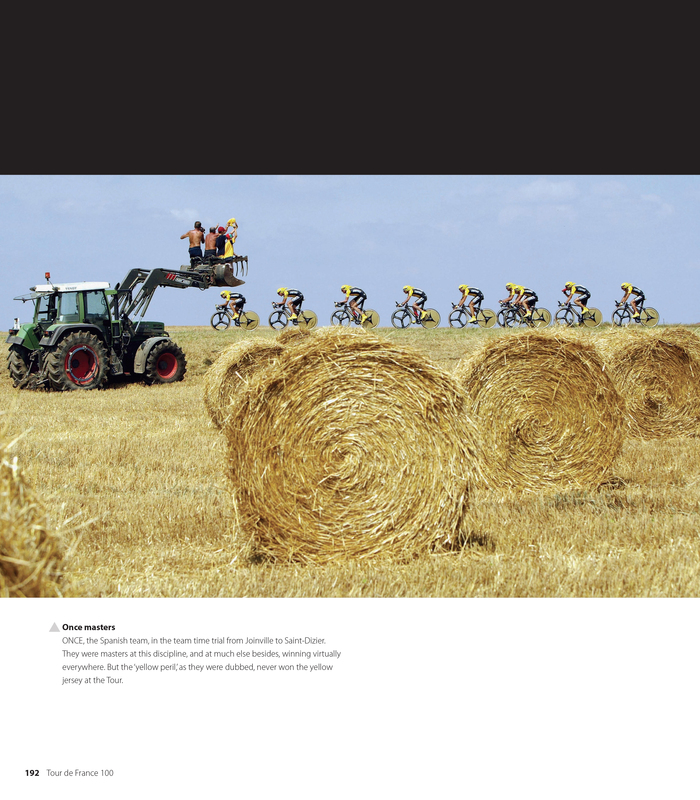 These photos can be found on page 109 of Tour de France 100.